We are fully licensed and insured to protect you and your property. We provide reliable, honest tree services in Eden Prairie, Minnesota. When storms wreak havoc on your trees and landscape call the professionals at Holtz to quickly help you restore your damaged property and avoid more serious damage. 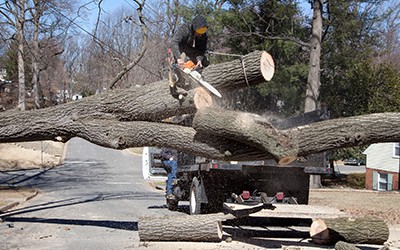 Our emergency tree removal and storm clean-up crews are on alert during any storm damage situations in your area. Sometimes a tree needs to be removed or thinned to avoid damage. 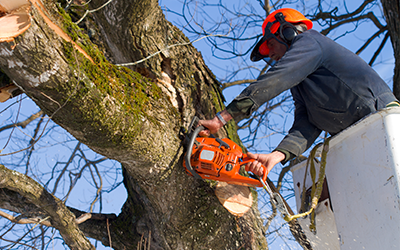 Professional tree removal will help you by eliminating serious falls and accidents. A problem limb that could fall on your home or building can be thinned to avoid costly expenses later. Toll Free: 888-600-8513 | 612-600-8513 Call Now! "The experienced crew at Holtz Tree Service know what it takes to get the job completed in a safe and professional manner. I had a tree over hanging our deck that busted during a storm. They came in and trimmed it back never dropping a branch on the deck or concrete patio area. Amazing to watch and see them at work-very impressed." 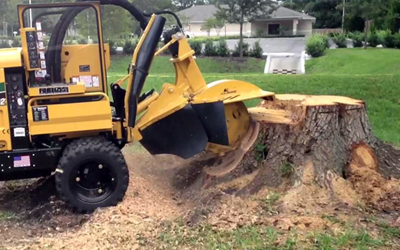 - Matt S.
Professional stump grinding can save you hours of back breaking work, save on hours of stump grinder rental costs and restore your beautiful landscaping. We are fully licensed and insured to protect you and your property. 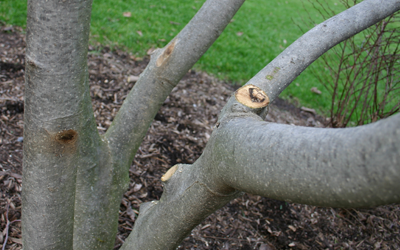 Professional corrective pruning and thinning allows you to remove the sections of a shrub or tree that aren’t growing in the shape you desire. Avoiding the dangers of overgrown trees near power lines and fall or winter shrub pruning will keep your family safe and give you a beautiful landscape. "Very happy with the yard package they performed for me after purchasing my new home. They trimmed 7 trees, removed and ground stump from an old oak tree and hedged 4 front yard bushes. All I need to do now is enjoy my home!" 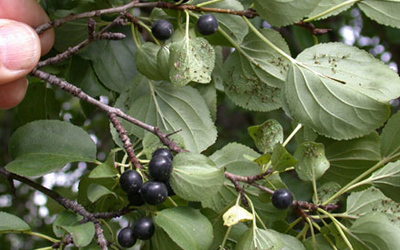 - Lacy B.
Buckthorn is an invasive species that, when not controlled, can take over your yard. We can professional remove this Buckthorn issue and offer suggestions for the replanting of desirable trees, shrubs and herbaceous species. Whether you yard has been overgrown by unsightly brush or your shurbs have overgrown and become unsightly, we can take care of any size job to restore the look you are after. 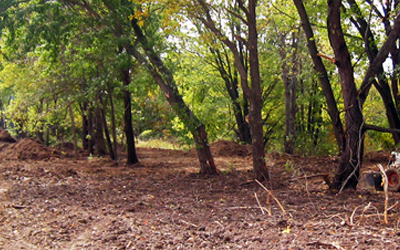 "Had Holtz Tree Service clear a lot of buckthorn and underbrush. Very pleased with them and I will definately have them back for anything else that is needed. Very professional and punctial service provided!" - Jim S.
Do you have 24 hour emergency tree removal service? Yes. Our emergency tree service and storm damage clean-up crews are on high alert during any storm damage situations in the Eden Prairie, Minnesota area. We work with all major insurance companies in your area and can quickly help you restore your damaged property and avoid more serious damage. Can you protect my family from Lyme disease and Zika virus? Yes. It's important to maintain the vegetation in your yard — to remove brush, keep the grass mowed and bushes trimmed, with good air flow. All these measures will make the space around your home less hospitable to deer ticks and mosquitoes. Can you help me save my trees? Can you provide a list of references? Of course. Any quality company will be happy to share a list of satisfied customers. 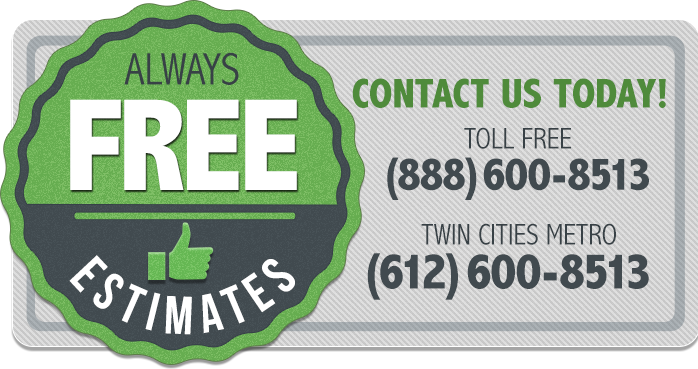 Contact our office Toll Free: 888-600-8513 | Local: 612-600-8513. Will you give me a detailed estimate? Of course. We will discuss the entire project with you before we begin and you will receive a detailed estimate. Yes. We are a fully licensed, bonded and insured tree service. We are licensed with the Minnesota Tree Care Registry and a member of Minnesota Society of Arboriculture. For your protection, we hold an A+ rating with the Better Business Bureau and we are proud of our record of having no complaints. Yes. We Accept Major Credit Cards - 5% convenience fee will be charged. A check or cash will save you money. Rest assured that your tree service project will be performed by licensed professionals who care about your family and investment. Call Now for a Free Estimate or Emergency Tree Service! 612-600-8513. Family Owned and Operated, our experienced arborists have proudly served the Eden Prairie, Minnesota area for over 20 years. Whether doing a complete tree removal from tree to stump, or simply "sprucing" up your yard with routine trimming and preventive care, let Holtz Tree Service take care of all the work for you. We have the right equipment along with an experienced crew to get the your job done right! © Copyright Holtz Tree Service. All Rights Reserved.